Our quest to do our bit in the reduction of landfill continues, with the focus still on our hessian coffee sacks. Grab a sack and play along! 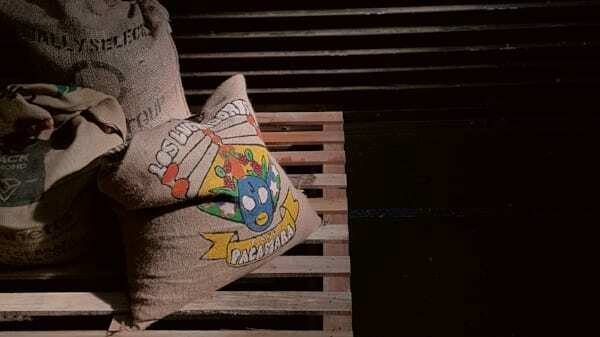 Maybe you’re lucky enough to live near a coffee roaster and have access to these versatile sacks, if you don’t, don’t fret, there are ways for you to grab a hessian sack from us, every bag we can ‘pay forward’ means less waste and less landfill, and that is good work. 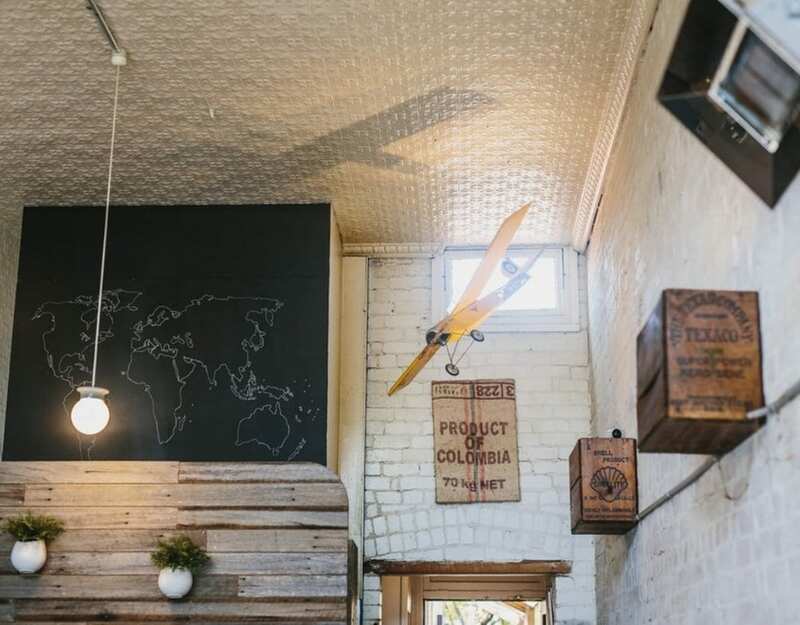 Visit a Zest Café (listed at the bottom of post) and, again, ask nicely if the owner is able to source a bag from us (Zest) with their next delivery. Drop an email to our lovely customer service crew, via info@zestcoffee.com.au, in the subject line pop,‘Coffee Sack Collection’, and in the body of the email let us know how many you’d like (within reason) and where you live (must be Sydney, Brisbane or Melbourne – if it’s another city/regional centre we may be able to organise postage for a small fee). We can then organise sacks for pick-up at your closest Zest outlet (from list below). So, you have your sack and together we have reduced landfill, pat yourself on the back and prepare to get crafty! 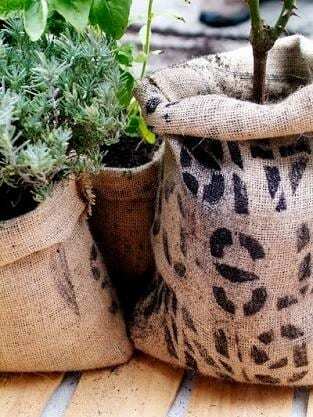 Your hessian coffee sack is made from a versatile material also known as ‘burlap’ or ‘jute’. While the sack itself is a very useful vessel as is, there a few creative adjustments you can make on your sack to extend its uses. Team bags with fresh flowers or plants to lift a room instantly, the contrast of fresh greens, natural browns and the texture of the natural fibre brings a raw eclectic style to any space. Some of the designs on the sacks are actually quite eye-grabbing – carefully framed, they work nicely as a (super cheap & sustainable) stand-alone piece of art. 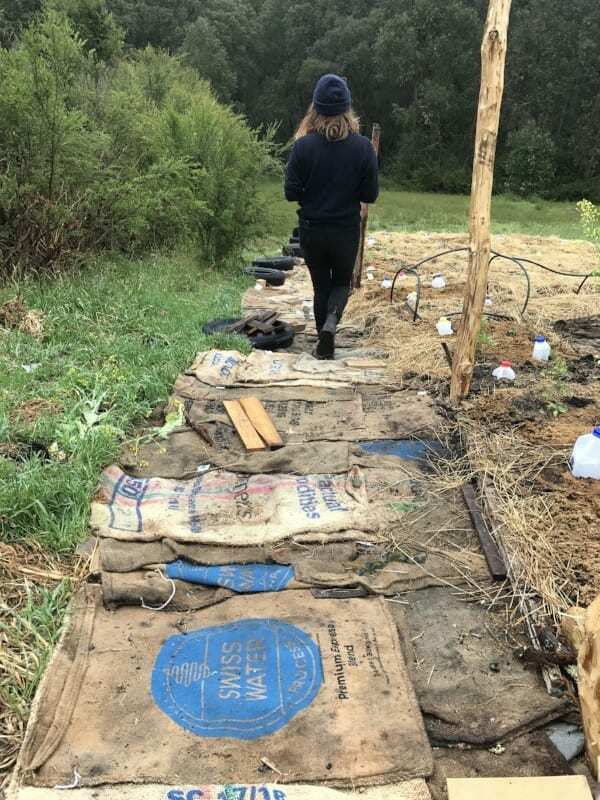 As seen in our last bag-blog, these hessian sacks work perfectly as weed blockers for new gardens, pathways, or void areas in your veggie patch/garden. 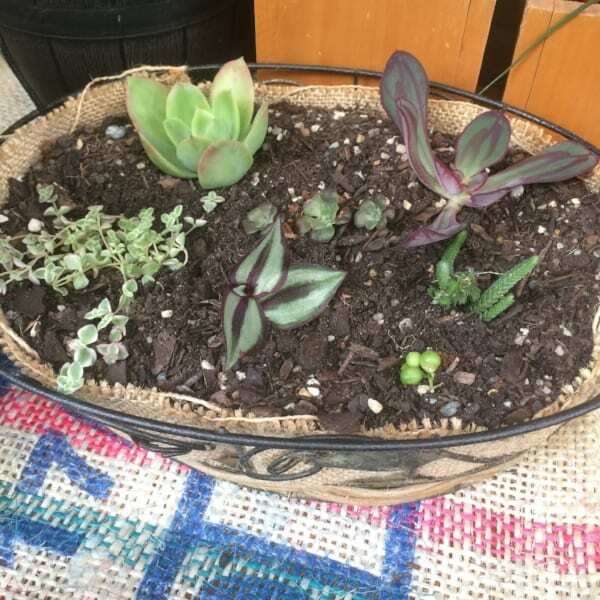 If you’ve prepared a garden bed but are not ready to plant in it yet, lay pieces of newspaper, followed by burlap (your cut-up sack), down over the soil weighed down with rocks and prevent weed growth. We’d only recommend this as a temporary measure, after a few weeks/months you’ll find clever weeds might make their way into your fresh garden bed and get gnarled up in the burlap. Use the bags as a path through a large garden, dividing produce and flattening the ground a little between planted areas, paving easier access to your plots and avoiding grotty soles as you walk through your ‘patch of dirt’. Plant pots are not cheap, but that expense is almost unavoidable if you want to use potted plants to decorate an interior or exterior space with live plant friends. No one likes an exposed plastic pot now, really, so what choice do you have but to dress your pot. NB: I said ‘almost unavoidable’ expense… Want to know a cheaper substitute for a ceramic plant pot? Use a natural fibre cover to cover your ugly plastic pot; instant style. But hang on, where can you get an inexpensive, natural fibre that would look great against the green of a live plant?? Find some great ideas at Apartment Therapy… Click Here. Use your jute to protect your babies from the elements. 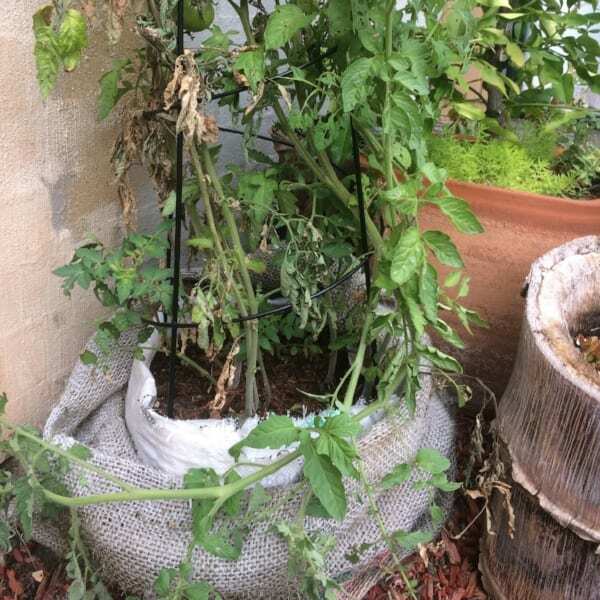 Still in the garden, the fourth use for your jute bags is protecting your precious organic matter – plants, pets, children – from the wind, sun and frost. The cheat/easy way to do this is peg your bags to fence or chook wire surrounding your delicate plants. Fully stretched, the jute makes a perfect wind/frost break during the cooler months and a great source of shade for the warmer months. For a more permanent source of shade you can sew several bags together and stretch out onto a wooden frame of some kind (similar to an artist’s canvas). Use your jute screen as a sun/wind-blocker in a courtyard, veggie garden, aviary, chook or rabbit pen. Why buy something when you can make it yourself, right? Better still, if you’re able to re-purpose materials that don’t require cutting or sewing, basically you’re winning at up-cycling. No sewing, that’s what I said! Make a Pet Bed without buying, sewing or creating landfill – sound too easy? Well it is. It doesn’t require any skill to create a soft-ish cushioning for your doggo or cat-friend to chill out on. 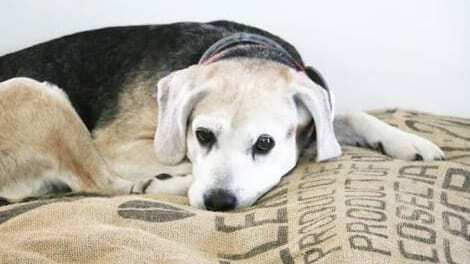 All you need for your coffee sack pet bed is a pair of scissors, fabric glue, some old t-shirts (or pants, cushions, socks, or towels – anything soft really), and a couple of strips of velcro. The Hello Nature Blog has put together a step-by-step guide for you…Click Here. 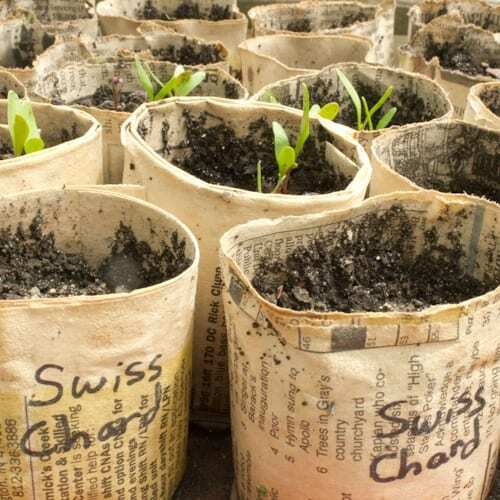 And there you have it, 5 useful ways to repurpose your hessian coffee sacks. See how easy it is to be a waste warrior?! We’d love to see some of your creations. If you try any of these at home, be sure to take a snap and post on Instagram tagging @zest_coffee and using the hashtag #zestforchange or #zestforcoffee. And if you have any of your own DIY up-cycling tips for hessian bags, get in contact with us via Facebook or Instagram so we can share your tips!